Russia’s United Engine Corporation (UEC) has completed the first phase of the flight testing program on the newest iteration of the Klimov TV7-117 turboprop engine, the TV7-117ST. The powerplant is intended for the Ilyushin Il-114-300 regional turboprop and also for the future light military transport aircraft, the Il-112V. The tests checked the engine’s performance in actual operating conditions at a variety of altitudes and thrusts, a spoksperson for UEC told Russian Aviation Insider. 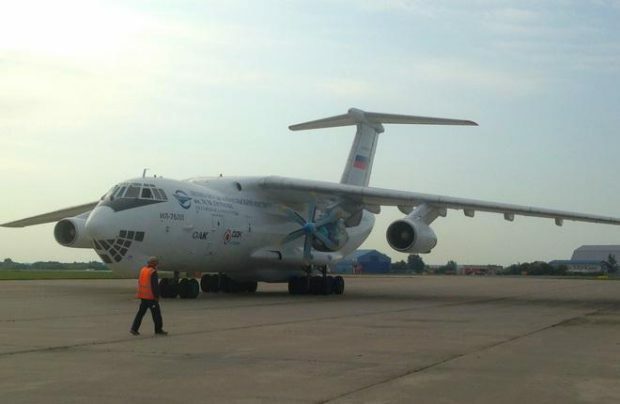 Flight trials of the TV7-117ST on the Il-76LL testbed started in September, at Zhukovsky-based Gromov Flight Research Institute outside Moscow. The manufacturer said at the time that a total of 20 flights were planned. The TV7-117ST is assembled exclusively from Russian-made components. It produces 3,000 of maximum take-off thrust and 3,600 hp emergency thrust. The engine’s FADEC control system manages performance parameters, including propeller pitch. Certification is expected in 2020, to be followed with the first deliveries of TV7-117ST-powered Il-114-300s in 2023. Starting in 2021, and until the re-engined model enters service, the aircraft will use the less powerful TV7-117SM, which is an upgraded version of the TV7-117S baseline. Preparations for Il-114-300 series production are already underway. There is a special program in place to support the aircraft’s market entry, which includes lease contracts through State Transport Leasing Corporation (GTLK) and the establishment of an aftersales support system. GTLK placed an order for 50 of the type this summer. At Paris Air Show earlier this year, Ilyushin signed a letter of intent with Pratt & Whitney Canada to resume production of PW127H-powered Il-114-100 airliners.